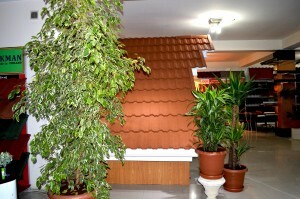 About Company: The company «Arsenal Center» was founded in 2001 and operates in several ways : the production and sale of metal, suspended ceilings, ventilation systems as well as in the very near future we will offer a special detergent from the company Ultra Ever DRY manufactured in the United States on the basis of nano technology to prevent further contamination of the facades and roofs of bridges, buildings, business centers, etc. The company is in a dynamic stage of development, and it is expressed as an annual increase in market share, turnover and the range provided in the Azerbaijani trade market . 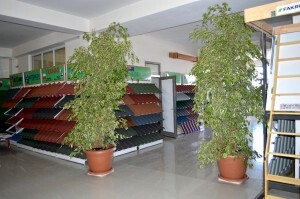 A wide range of products, which can be seen by visiting the company’s showroom «Arsenal Center» – where products belong to the leading manufacturers such as : Weckman ( Finland ), Gerard ( New Zellandiya ), Germany Simetric, Germany Diamond (Germany) Ruuki ( Ukraine, Estonia ), Yildizbond ( Turkey ) Metehe OY. 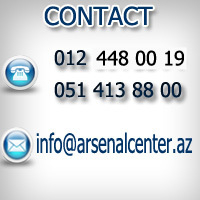 Over the years the company «Arsenal Center» developed the following principles , which allow to build strong and lasting relationships with our clients – professionalism , correctness , commitment and an individual approach to each client. 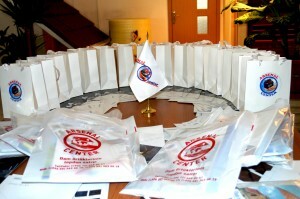 The company “Arsenal center” is synonymous with trust, reliability and innovation, and we are proud to be at the heart of our business are the interests of the client. We will be glad to see you among our partners and customers, which ,as you can see in practice , very quickly become sincere friends of our Company.